Make your home sparkle at night with this wonderful art piece. 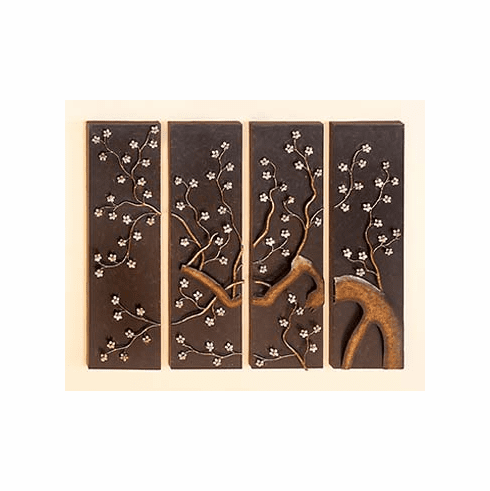 The branches will climb out of the walls and they will highlight the room of your choice. The four pieces together represent the four seasons. This piece is of spring- where the blossoms form. It is very beautiful up close and real life, and your guests will definitely compliment your taste in decor. You may match this with any type of theme of your choice, and it will still look splendid! We guarantee that you will love this, or we will give you your money back!